pure genius. Zakir Hussain is the magical result of nature plus nurture. He is the son of the legendary musician Alla Rahka, and used to practice 18 hours a day from childhood. It is no surprise that he became a child prodigy. It was difficult to get good pictures of his hand and it took hours to combine the meanings of different photos to write this. It is a brief reading as there were only a few good photographs of his hands available on the net. You can check out some photos of his hand here or here. Zakir’s hands are that of a successful artist. Fine texture, a slight conic shape to some of his fingers, and a good upper and middle mount of moon. They show his refined idealistic impressionable nature, and a high level of creativity. But talent and an artistic temperament are not the only aspects of character that took him to the great heights he did. He has strong lines, a good thumb, broad palm, and long fingers with knots, clearing showing his willpower, energy and thinking ability. Unlike some creative people, Zakir Hussain is a deep thinker and planner. He plans in detail, and likes to lead a well ordered, regulated life. For him, there is a time for everything, and everything has its place. The development of his Mount of Venus in combination with the Mount of Moon and the shape of his Apollo finger reveals his creative talent, extraordinary originality, and musical ability. It is his Upper and Middle Venus which is developed, not the lower, and this gives him the passion and talent for music. This sign is present in his left, passive hand as well, and this tells us that he inherited these abilities. 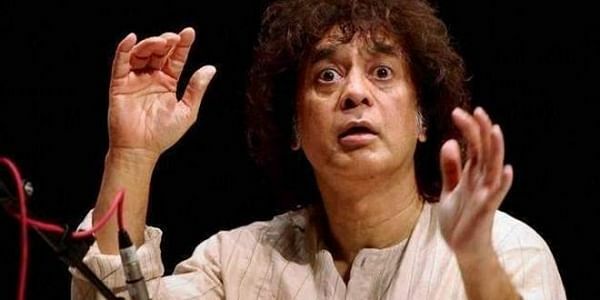 Zakir Hussain's successful collaboration with western artists is also in keeping with the signs on his hand. He has produced some extraordinary amalgamation (in music) of the east and the west. The shape of his hand shows that this was natural for him, as the barriers of religion and country mean little to him. It is interesting to note that there is an aspect of his character - the desire for wealth and fame - which was not inherited. This is a quality he developed. From this one can surmise that neither of his parents possessed this trait. Related Reading: Kishore Kumar's Hand Reading or that of M.I.A Mathangi "Maya" Arulpragasam, a British rapper of Sri Lankan origin. Or just check out the label "Music Stars" for hand readings of international music celebs ranging from Michael Jackson to Kurt Cobain. Please read the hand of Swami Vivekananda as his hand print is available on the internet. Ananth, I have checked for his hand photos earlier but most of his photos are with his hand hidden. The others do not show his full hand. Another reader had requested me to read his hands some months earlier. If you have any photo do send it to me. I need a photo with his whole hand visible from the front. You hit the nail on the head Vishesh. If he was not born with a love for music there is no way his father could have made him practice! Nice one Nita. In general,I am fascinated by musicians and 'artists'.What most have in common is that they thrive while performing. It's almost as if they live only for that moment - all the practice,'sadhana' is geared toward that climactic moment. The mundane everyday existence is not for them although they have to go through the motions.The interesting question to ponder is,do true artists really care what the public thinks of them? Do they create a work of art with an audience in mind or is it the love of the art that drives them? I think in Zakir's case that it's both.He loves to play which is evident in every performance. At the same time, he has also crafted and honed his skills to produce shows that thrill the public.A wonderful combination in this case. Hmm, I am fascinated by these people too, far more than the spiritual types. And as for the question you asked that is indeed a very deep one! I think you are right about Zakir though. He does enjoy the audience. But finally for all true artists, the love of the art does drive them. Hi monisha. Sure, I will analyse his hands sometime in the next few weeks. It will probably be a brief reading as there are no clear photographs of his hands available. However will keep trying to get better photos. Recently I read Khushwant Singh's remark that Rahul Gandhi is a better leader than his father was. 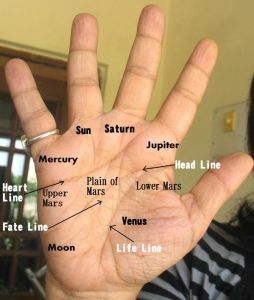 After that I have been collecting a few pics of Rajiv's hands and from a cursory glance at his hands I feel that that Khushwant Singh is wrong. I will explain in my reading why. You can see the Swami's handprint in this page. I am not sure that this is the hand print of Swamji and therefore I would hesitate to analyse it in public. And I am not saying this because the hand belongs to a selfish human being but because the signature is fake. Another reason why I feel that this is not his palm is that although in Swamiji's photos his hand is not visible, the thumb is. The thumb in the photos I have of Swamji is different from the print you said belongs to Swamiji. However, at times the thumb can look different in a print as a supple thumb does not come out clearly.